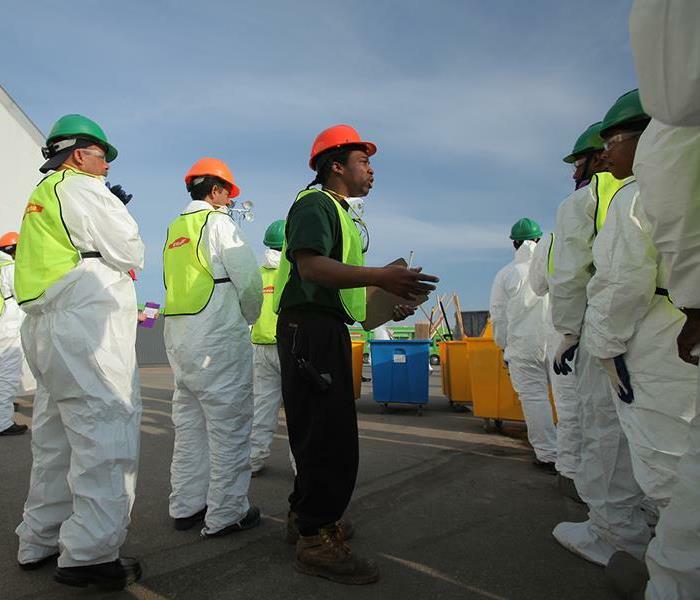 SERVPRO offers Richmond property owners no-cost tools for preparing a disaster readiness plan. Richmond, IN (Grassroots Newswire) August 30, 2016 — Each September, the Federal Emergency Management Agency (FEMA) sponsors an awareness event—National Preparedness Month (http://www.ready.gov/September) —to encourage both home and business owners to review and update their emergency preparedness and business and life continuity plans. Tim Watt, owner of SERVPRO® of Richmond, encourages Richmond property owners to take advantage of the information available from FEMA, because advance planning is critical in dealing with and recovering from the unexpected. SERVPRO offers tools for both commercial and residential property owners to help address this problem. 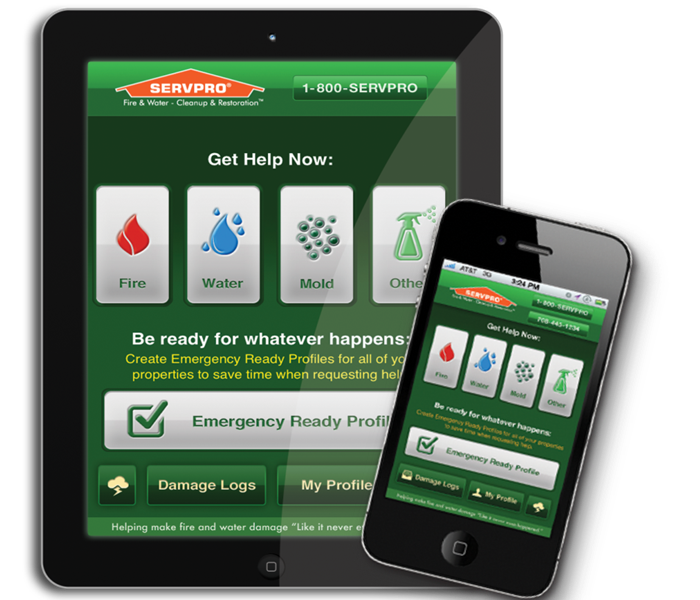 Business and home owners alike can download the free SERVPRO READY app, and store time-critical contact and property information electronically, in advance, where it can be accessed with a mobile device in seconds if disaster strikes. In addition, when a business designates their local SERVPRO Franchise Professional as their disaster mitigation and restoration provider, SERVPRO professionals will conduct a no-cost assessment of the facility and assist the owner in completing a comprehensive Emergency READY Profile® (ERP). The ERP includes information about emergency contact numbers, priority and high/risk areas, shut-off valve locations and more that can then be stored in the READY app. SERVPRO® of Richmond specializes in disaster restoration, cleanup and repair services, helping to remediate damage, making it “Like it never even happened,” for both commercial and residential customers. For more information on SERVPRO® of Richmond, please contact Tim Watt at (765) 966-8888. 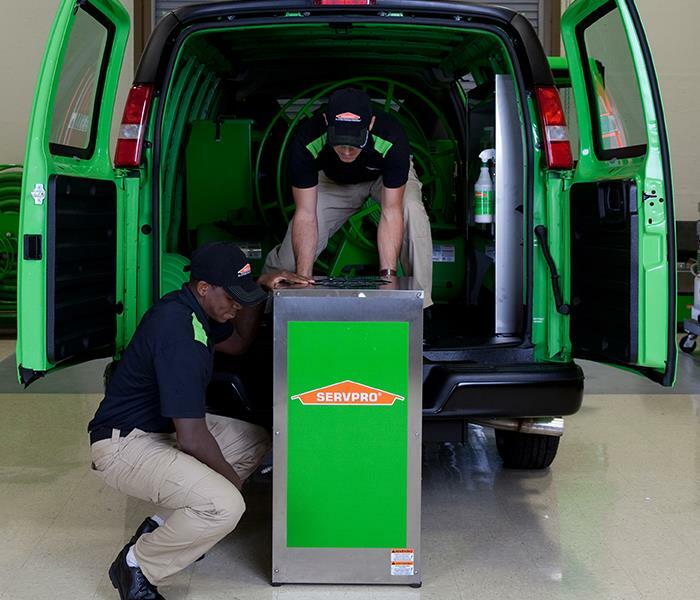 For more information on the SERVPRO® and the SERVPRO® Emergency READY Program, please visit www.ready.SERVPRO.com. 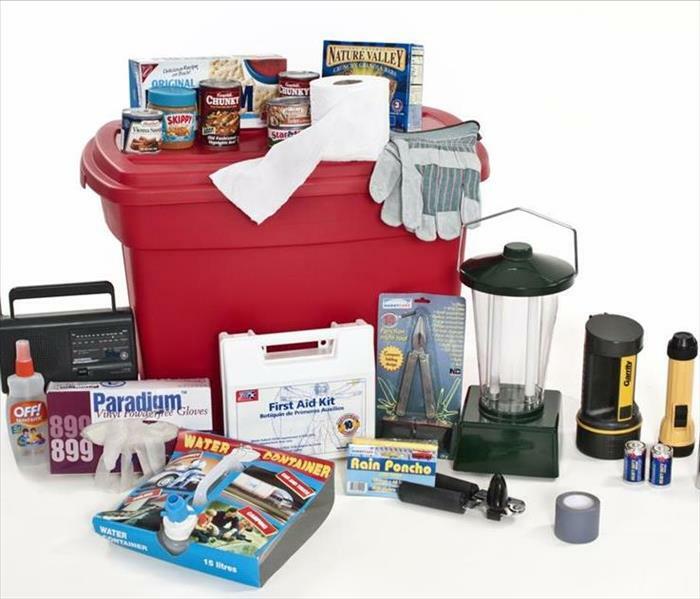 Pictured is an example of a finished emergency supply kit. Building an emergency supply kit can be a challenge, especially for those that are pinching every penny. However, you can still build a kit without breaking your budget! Check out these tips below to get started. 1. START NOW! Take small steps now so that you can be ready! 2. Make a plan with your family and neighbors for what to do when disaster strikes. Go to ready.gov/make-a-plan to download a Family Emergency Plan. 3. Check your insurance policy and make necessary changes to stay protected. 4. Update your contact information. Make sure you have the correct information for your family, friends, and neighbors so that you can stay in contact and let people know you’re okay. 5. Make a ready list– we’ve started this one for you on the other side! Think about what you might need that isn’t included on our list or things that we have that don’t fit your needs and plan accordingly. 6. Try to purchase your supply kit items when they are on sale. 7. Don’t buy everything at once (unless you want to) and you won’t notice the cost as much. 8. Create a plan for when you will purchase your supplies rather than impulse buying right before a big storm is about to hit. 9. You don’t need to buy fancy bottled water for your kit. Just make sure that your containers are airtight and clean. 10. 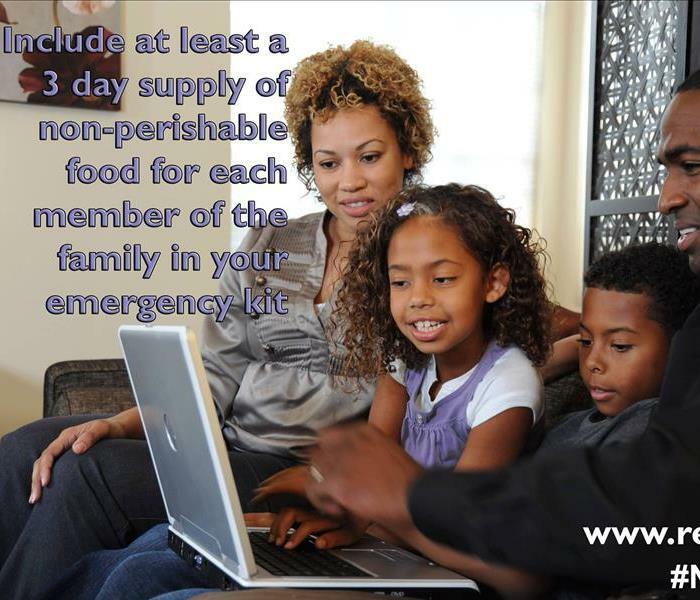 Ask for emergency supply kit items as gifts for your next birthday rather than getting thing you don’t need. 11. Stay in rather than going out for just one night. The money you would have spent on dinner and a movie could go towards your supply kit instead. Those of us at SERVPRO of Richmond hope that these tips are beneficial to you! September is National Preparedness Month! Emergency situations can happen at an moment and they can happen quickly. We at SERVPRO of Richmond want the people in the community to be ready and to stay safe! Use this emergency supply kit checklist to stay prepared, no matter what happens! 1 gallon of water per person per day for a minimum of 3 days– think about water for sanitation too! A 3 day supply of non-perishable food – don’t forget about a can opener, eating utensils, and food for your pets if you have any! Hand tools; wrench, pliers, screwdriver, etc. Remember to keep your emergency supply kit in an easily accessible location and in a water-proof container! When Storms or Floods hit, SERVPRO of Richmond is Ready for Whatever Happens! Since we are locally owned and operated, we are able to respond quicker with the right resources, which is extremely important. A fast response lessens the damage, limits further damage, and reduces the restoration cost. Our coverage area includes Wayne, Fayette, and Union counties as well as surrounding areas. SERVPRO of Richmond is a 24/7 emergency service and you can expect an immediate response time, day or night. When storms hit in your area we can scale our resources to handle a large storm or flooding disaster. We can access equipment and personnel from a network of 1,650 Franchises across the country and elite Disaster Recovery Teams that are strategically located throughout the United States. Richmond, IN (Grassroots Newswire) June 1, 2016 -- The American Red Cross recently recognized SERVPRO®, a cleanup and restoration company, for participation in its Disaster Responder Program1. As a Disaster Responder Program member, SERVPRO pledges a donation to the Red Cross in advance of disasters, allowing the organization to respond quickly and effectively to nearly 66,000 disasters annually, most of which are home fires. SERVPRO is entering their third year of partnership with the Red Cross; their donations to the organization to date exceed one million dollars. For fire prevention tips and information about fire and water damage restoration services, please visit www.SERVPRO.com. For more information on SERVPRO® of Richmond, please contact Tim Watt at (765) 966-8888 or SERVPRO8553@firstbankconnect.com. Richmond and Surrounding Area Residents: We Specialize in Flooded Basement Cleanup and Restoration! You can trust the team at SERVPRO of Richmond to handle your water damage whenever you need us; we’re available 24/7. The bottom line: a flooded basement can jeopardize your health, safety, and your home’s integrity. It’s worth making a call to SERVPRO of Richmond and let our trained, professional crews handle the situation safely and correctly. We have earned the trust of hundreds of homeowners, business owners, and property professionals. Does Your Business Need an Emergency Ready Profile? According to the Insurance Information Institute, up to 40% of businesses never reopen after experiencing a disaster. Also, another 25% of businesses fail within one year after the disaster has occured. These are alarming statistics. 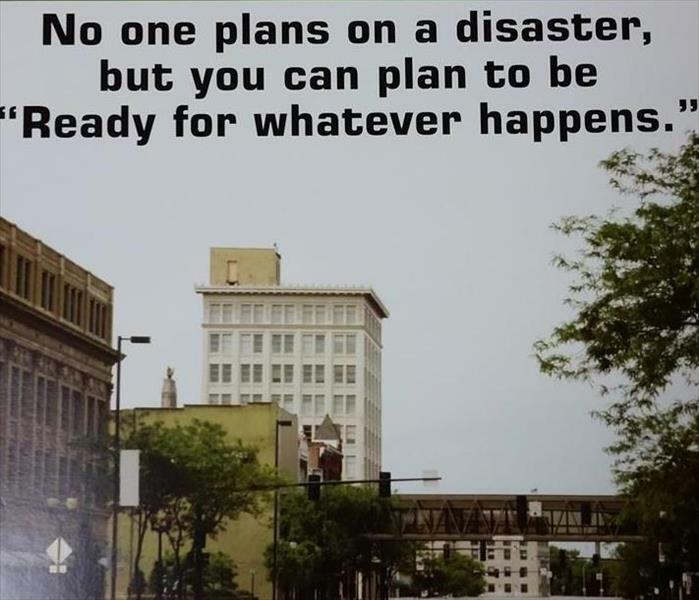 The businesses that do recover from disasters are the ones that had proper preparation and planning in place. Shouldn’t your business be one of them? Establishes your local SERVPRO Franchise Professional as your disaster mitigation and restoration provider, if you so choose. 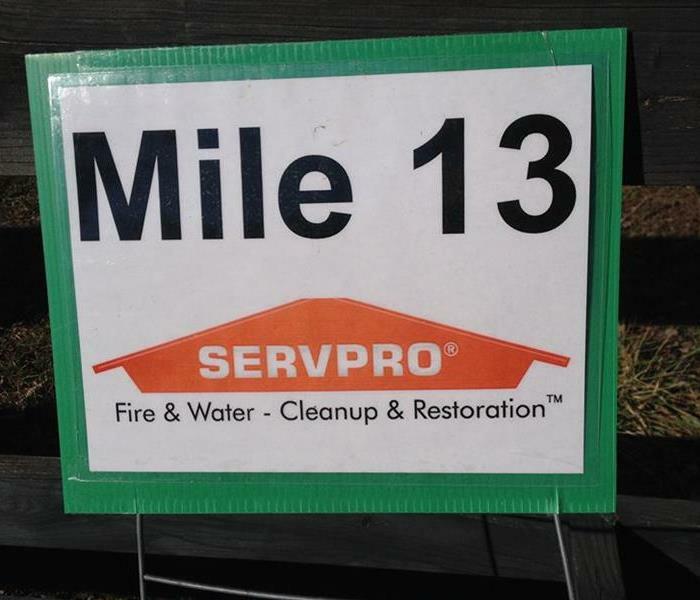 SERVPRO of Richmond sponsored Mile 13 for the Hayes Arboretum Winter Trail Run. SERVPRO of Richmond was a proud mile sponsor for the first Hayes Arboretum Winter Trail Run on February 6, 2016. The Winter Trail Run included a 10k, half marathon, and full marathon course and runners from all over the United States came to conquer the trail. SERVPRO of Richmond’s sponsorship will help Hayes Arboretum provide nature and recreational education through programs, experiences, and amenities. Our Marketing Manager, Shana Lewis, volunteered her time at the Trail Run. “I’m glad that I decided to spend a few hours [at the race] handing out hotdogs, snacks, and beverages to the runners. It’s always interesting meeting people from all over. Even though it was in the 30’s, it turned out to be a beautiful day”, says Lewis. Here at SERVPRO of Richmond, we are glad to be able to support Hayes Arboretum and their upcoming educational programs. Visit the Hayes Arboretum website to view race results, photos taken during the event, and learn how you can get involved. For more information about SERVPRO of Richmond and the services we provide please call (765)966-8888 or visit our Contact Us page. Wayne, Fayette, and Union County residents: SERVPRO of Richmond provides fast service day or night! SERVPRO of Richmond provides 24-hour emergency service and is dedicated to being faster to any-sized disaster in Wayne, Fayette, and Union Counties. We can respond immediately to your emergency and have the expertise to handle your restoration or cleaning needs. 9/14/2016 - September Is National Preparedness Month! 9/13/2016 - When Storms or Floods hit, SERVPRO of Richmond is Ready for Whatever Happens! 5/25/2016 - Richmond and Surrounding Area Residents: We Specialize in Flooded Basement Cleanup and Restoration! 4/25/2016 - Does Your Business Need an Emergency Ready Profile?